While Jameis Winston didn't impress in his first action back from suspension, he was given a tough task as he faced the top fantasy defense in the Chicago Bears. This week, after the bye, he squares off against the Falcons who are giving up an average of 24.6 fantasy points to the position, the 4th highest in the league. Jameis should be started with confidence and should score north of 20.0 fantasy points this week. In a game Green Bay could jump to an early lead against the 49ers, running back Aaron Jones would be in a position to see a healthy amount of touches. While it's widely known that Jones is more of a dynamic runner than teammate Jamaal Williams, he isn't a fantastic pass-blocker. Therefore, if this game ends up being opposite of what's expected and the Packers find themselves down a few scores, Jones may ride the pine as the offense will need to move more up-tempo and throw the ball. With T.Y. Hilton doubtful for Sunday's matchup against the Jets, Chester Rogers finds himself with another opportunity to score double-digit fantasy points for the third-straight week, after quietly scoring 18.5 and 14.6 fantasy points over the past two games. Rogers has 8 receptions in each of those games and will look to duplicate that again this week with not only Hilton missing the game, but with Doyle's participation in doubt as well. WIth Tyler Eifert out for the year, look for C.J. Uzomah to continue to dominate snaps in the high-scoring Bengals offense. This week they go up against the Steelers who are giving up 20.1 fantasy points to opposing teams' tight end through 5 weeks, tied for the most in the league. Uzomah provides a great streaming option this week for those in a pinch. Entering Week 6 as the 24th ranked kicker, Jake Elliott has a great opportunity to bounce back on Thursday night against the Giants who have surrendered 16 and 19 fantasy points to the Saints and Panthers' kickers, respectively over the past two weeks. Through five weeks, the Giants are allowing the most fantasy points (12.6) to kickers per game; those rostering Will Lutz or Matt Prater should look to Elliott during their bye weeks. The Green Bay Packers defense is quietly ranked 4th among all defenses and faces a 49ers team that has given up 21 fantasy points over its last two games. On the season they are allowing the 5th most fantasy points and have given up an average of 3.6 sacks entering this week. The Packers defense at home should be started with confidence against a turnover-prone offense that will be forced to drop back and pass the ball for most of the game. Mitch Trubisky is coming off an impressive performance 2 weeks ago, scoring 43.5 fantasy points - he's a surefire start this week, right? Temper those expectations! Out of the 5 games the Miami Dolphins have played so far, only Tom Brady has eclipsed more than 14.0 fantasy points. While Trubisky surely can pass this mark as the Fins played against mediocre quarterbacks: Mariota, Darnold, Carr, and Dalton. I wouldn't be expecting a 16-plus point performance from Trubisky this week as the defense is only allowing an average of 12.6 fantasy points to the position, second best in the league. Derrick Henry has been nothing short of a disappointment this season, coming into the week as the 60th-ranked RB. Henry hasn't scored more than 5.9 fantasy points this season in any one game and I expect that trend to hold true this week as the Titans face a tough Ravens run-D. Unless we see a total 180-degree turnaround from Mariota and the offense, owners who decide to start Henry will be praying for a goal-line touchdown(s) each week. With our wide receivers, especially in half and full-PPR leagues, we want all the receptions we can get to provide us with the highest possible floor.Robby Andersonisn't exactly a guy we can trust this week, even after a great performance last week: he's currently averaging 2.2 receptions per game through five weeks and even if we include his outlier Week 5 against Denver, he's only averaging 46.2 yards per game. Scoring 2 touchdowns on 3 receptions is obviously not sustainable which makes Anderson a very risky start this week, even against a shaky Colts defense. 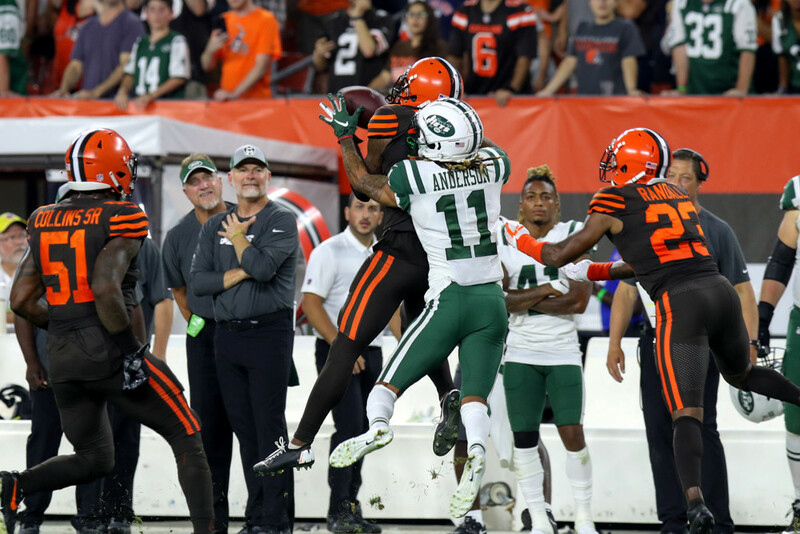 I would need at least one more prove it week to feel comfortable starting Anderson in an offense that has favored Quincy Enunwa as the primary pass catcher. Injuries galore have hit the tight end position, and that's no different with the Seattle Seahawks this season. Up next is Nick Vannett who hasn't been too involved down the field, as most of his targets have been within a few yards of the line of scrimmage. While this could improve throughout the season, it's best to stash Vannett on the bench this week if you do want to roster him as he hasn't showed any real reason to be worthy of a starting gig. Owned in 67% of ESPN leagues, Chris Boswell is another sit candidate once again. Boswell's season-high through five games is 6 fantasy points and he is currently ranked as the 30th ranked kicker in the league. While it's likely Boswell's production will increase as the season progresses, there's no longer a need at this point to hang onto and start someone solely based on name value. With Joey Bosa still sidelined for the Los Angeles Chargers defense, it's not the same as it previously was. While the defense does have two double-digit performances, including last week against the Raiders, they also have given up two negative fantasy point games against the Chiefs and Rams. The Chargers defense is currently giving up over 350 yards through the air and over 22 points per game and the Browns should be able to find success against them on Sunday, limiting the overall upside of the defense.